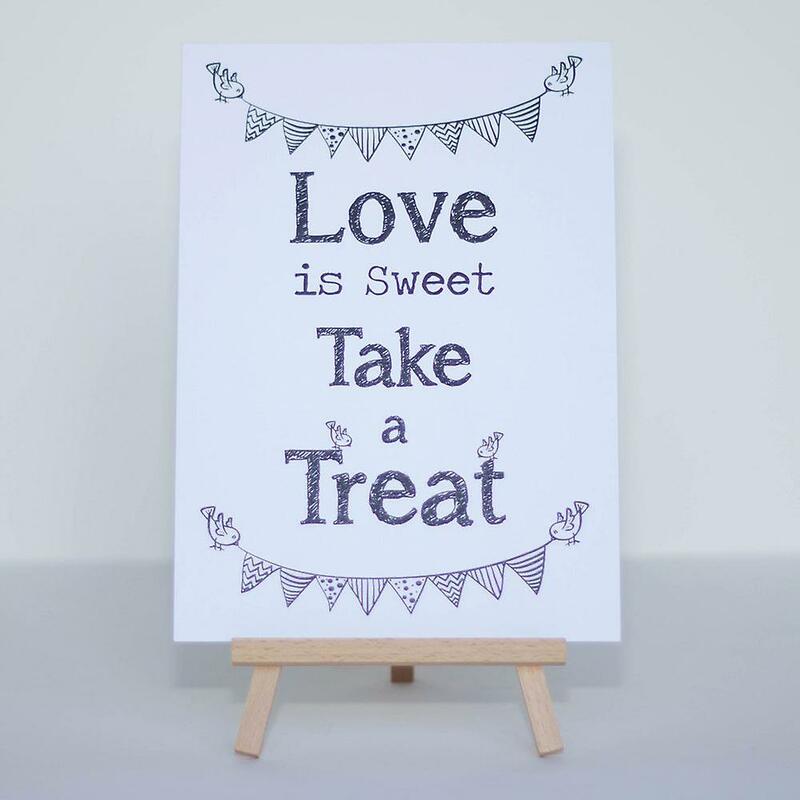 Add this sign to your sweet table or candy cart at a wedding or party for the perfect finishing touch. 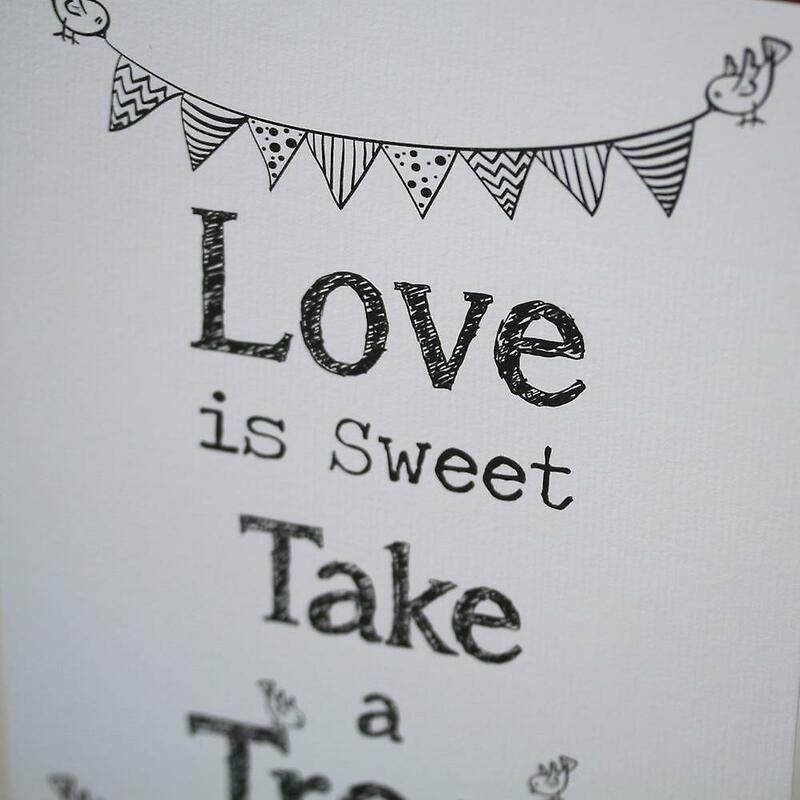 An A5 piece of card in white with the words Love Is Sweet Take A Treat. 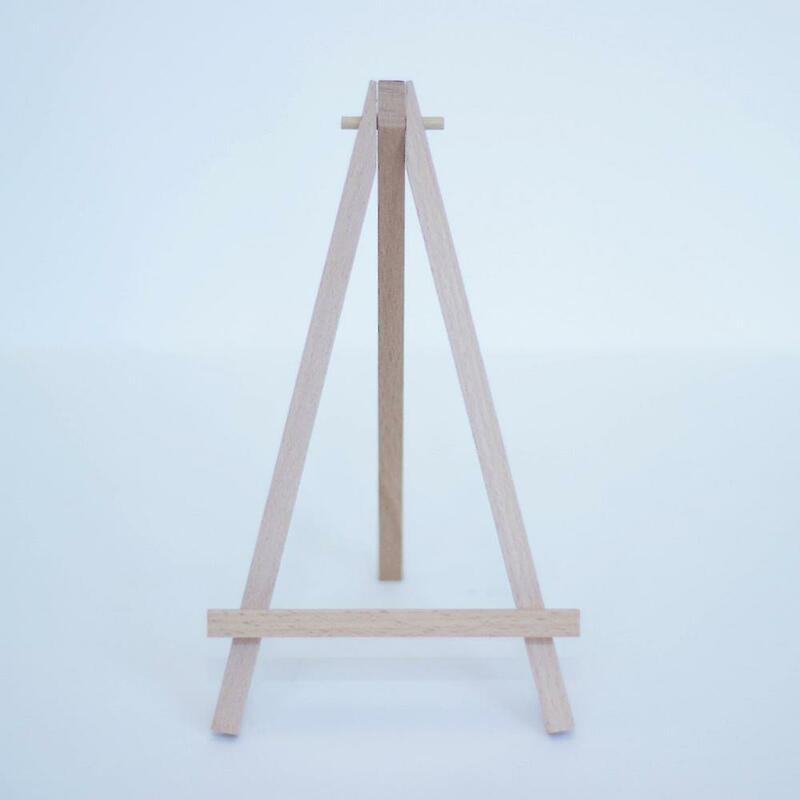 It comes with a mini white wooden easel to stand it on. Also available in kraft brown - please be sure of the size before ordering.